HoldenCopley are delighted to announce that our estate agency branch in Hucknall is now officially open, with the doors opening for business on the 14th April 2018. We are an award winning independent estate agents in Hucknall, Nottingham, offering a wide range of property for sale in Hucknall, Arnold, Woodthorpe and all surrounding areas. In 2016 we were awarded the 'Best Independent Property Agent' in the Real Estate and Property Awards run by Build Magazine, just two years after HoldenCopley was formed, highlighting the incredible work that our team have produced in just a short period of time. As well as offering a fantastic range of property for sale, we also provide property to rent and property management services, ensuring that HoldenCopley are your number one choice of estate agents in Hucknall, Arnold, Woodthorpe and throughout Nottingham. We are confident that we will provide you with a first class service that will always have your best interests at heart. So, if you are looking to sell your house in Hucknall, Arnold, or anywhere within Nottingham, then contact us today for a free, no-obligation valuation. 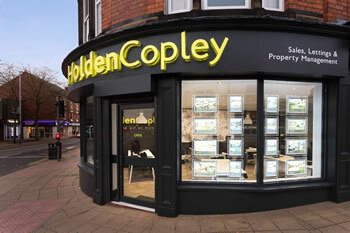 To speak to our team regarding our property for sale, property to rent or property management service please contact us on 0115 8969800 or email us at info@holdencopley.co.uk, and learn why we are one of the best independent estate agents in Hucknall, Arnold, Woodthorpe and throughout Nottingham.